Jaipur-based Girnar Software Pvt Ltd, which owns auto portals CarDekho.com, BikeDekho.com and Gaadi.com, has acquired virtual reality (VR) startup Volob Technologies Pvt. Ltd. The acquisition will help the company grow its 3D visualisation capabilities through virtual and augmented reality, it said in a statement. The startup was founded in 2010 by Tarun Kumar and Shweta Jain. Prior to starting up, Shweta worked for Altran India while Kumar worked for Tata Technologies. The firm's clients include Maruti Suzuki, Mahindra & Mahindra, Godrej, Greenply and Somany Ceramics. "Visual experience is an important element in assessing a car or bike. 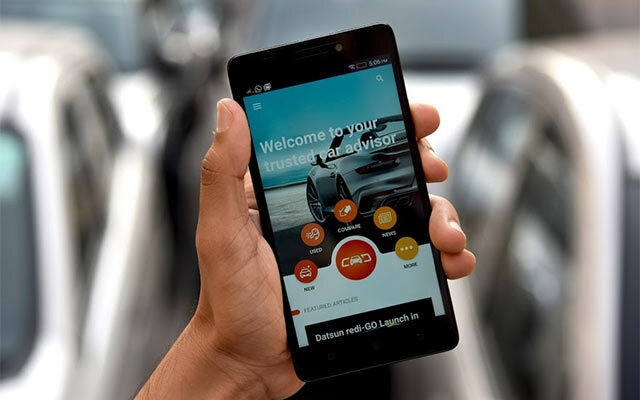 CarDekho.com's acquisition of Volob is aimed at amplifying the visual experience of car buyers in both real and virtual settings," said Amit Jain, co-founder, Girnar Software. Girnar has been on an acquisition spree for the last two years. Most recently, it acquired SaaS-focused startup Connecto in a cash-and-stock deal. Prior to that, it acquired car testing and benchmarking firm Advanced Structures India and roadside assistance startup Help On Wheels. Last month, Girnar secured an undisclosed amount of investment from Google Capital as part of its extended Series B funding round, with participation from existing investor Hillhouse Capital. In January 2015, it had raised $50 million in the first tranche of its Series B funding round led by Hillhouse Capital, with participation from Sequoia Capital and Tybourne Capital. The investment was done at a $300 million post-money valuation. It competes with CarTrade.com, which secured $145 million (Rs 950 crore) from Temasek Holdings, US-based March Capital and existing investor Warburg Pincus in its latest funding round in January this year.